CHICAGO – FOX’s “I Hate My Teenage Daughter” is so horrendous that there were rumors, after it was picked up by the network and pilots were sent out to press last May, that the network heads might change their mind and decide not to air the show at all. That would have been the nice to do to the American public. 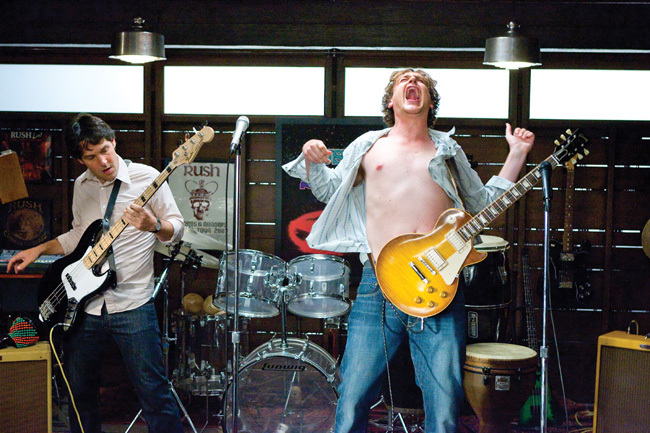 Paul Rudd (left) and Jason Segel in I Love You, Man. CHICAGO – This 46-image slideshow contains official press images for the comedy “I Love You, Man,” which stars Paul Rudd, Jason Segel, Rashida Jones, Andy Samberg, Jaime Pressly, Jon Favreau, J.K. Simmons, Thomas Lennon, Lou Ferrigno (of “The Incredible Hulk”), Joe Lo Truglio, Jane Curtin, Rob Huebel and Sarah Burns from director and screenwriter John Hamburg.